Mr Mojtaba Nazemi started his PhD programme in Semester 2, 2016, and he will work on the mechanics of degradation and healing in cemented granular materials. 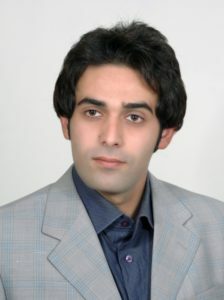 Mojtaba graduated with MSc(Eng) from the School of Civil Engineering, Graduate University of Advanced Technology, Iran 2015 and BSc (Eng) from the School of Civil Engineering, Shahid Bahonar University of Kerman,Iran 2008. This entry was posted in Group and tagged cemented granular materials, group members, pavement, people, PhD. Bookmark the permalink. Post a comment or leave a trackback: Trackback URL. Congratulations! Hope to see you in Sydney soon as I have also received an admission with scholarship.